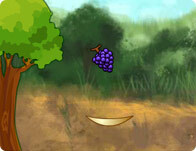 Enjoy a new Html5 cooking game! In this game you will prepare a delicious hamburger for our princesses! Choose the ingredients that you like and make them the perfect hamburger! Have fun!